Government contractors should explore updates to their purchasing system policies and procedures regarding subcontracts subject to Truthful Cost or Pricing Data (TCPD) and Cost Accounting Standards (CAS) requirements based on the upcoming effective date for the increased threshold for obtaining certified cost or pricing data. Specifically, Section 811 of the National Defense Authorization Act for Fiscal Year 2018 (Pub. L. No. 115-91, 131 Stat. 1283) (FY 2018 NDAA), amends 10 USC § 2306a and 41 USC § 3502, increasing the threshold for obtaining certified cost or pricing data to US$2 million. Inevitably, this increased threshold impacts subcontracting, particularly under contractor purchasing systems that are subject to the Department of Defense (DOD) Business Systems Rule. A recent memorandum issued by Shay D. Assad, Director of Defense Pricing/Defense Procurement and Acquisition Policy (DP/DPAP), which we addressed in a prior advisory, directs DOD contracting officers that, effective July 1, 2018, they shall use US$2 million as the threshold for obtaining certified cost and pricing data “in lieu of the threshold . . . at [FAR] 15.403-4.” Notably, while this class deviation provides direction to DOD contracting officers, it does not change the “current threshold” in FAR 15.403-4. Accordingly, absent a contract specifying a different threshold, prime contractors must wait until the threshold in FAR 15.403-4 is updated to implement the US$2 million threshold before they may safely use it for subcontracts and modifications that are not otherwise exempt. Under FAR 52.215-12 and 52.215-13, a prime contractor’s obligation is to require a subcontractor to submit certified cst or pricing data when the expected value of the pricing action will exceed the threshold in FAR 15.403-4 and an exception does not apply. FAR 15.403-4(a)(1) states that certified cost or pricing data are required before the award or modification of subcontracts “expected to exceed the current threshold or, in the case of existing contracts, the threshold specified in the contract.” The same paragraph currently provides that “[t]he threshold for obtaining certified cost or pricing data is US$750,000,” and has not yet been updated to reflect the increased threshold. Ellen Lord, the Defense Department’s new undersecretary for acquisition, technology and logistics, appeared before the Senate two weeks ago to give her first progress report on the department’s implementation of congressional acquisition reform. In passing, she made a new reform request of her own: a potentially-fundamental change to the way DoD handles sole-source procurements. 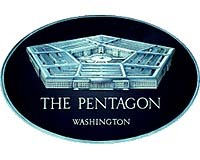 Since 1962, when Congress passed the Truth in Negotiations Act (TINA), the government has generally been required to demand that contractors provide it with their cost and pricing data when that company is the only bidder that can fulfill the military’s requirements. The rationale is that without a competition between vendors, the government needs some insight into its contractor’s actual costs to make sure it’s not getting gouged. One of the most controversial areas in government contracting surrounds cost and pricing: the means by which a contracting officer makes a “fair and reasonable” price determination. This can be expensive to bidders, especially if they are required to provide “certified cost and pricing data” and respond to Defense Contract Audit Agency or contracting officer questions. Recent inspector general reports have highlighted the problem. Commercial companies don’t have similar requirements and aren’t structured for it. They maintain that creating such cost-accounting compliance would incur extra overhead costs, drive up prices, and hurt them competitively. Contractor concerns involve onerous government requirements, inapplicability, and potentially abandoning the government market. Perhaps the biggest difference between government and commercial buying practices is symbolized in the Truth in Negotiations Act (TINA). Its main intent is to ensure accuracy of a contractor’s costs before negotiating with the government and includes providing government access to all cost or pricing data the contractor used to develop its offer. If the cost rises and the bidder is found to have withheld any data, the government can get back the added costs. The Contracting Education Academy at Georgia Tech is offering a course focusing on the Fundamentals of Cost & Price Analysis in government contracting. The course begins June 16, 2014, and will be held at the Global Learning Center located on the midtown Atlanta campus of the Georgia Institute of Technology. To see details or to register, click here. The Academy’s comprehensive, two-week course begins with an in-depth review of the market research process, and provides instruction to help students understand and analyze contractor pricing strategies. Attendees will learn to accomplish cost-volume-profit analysis, calculate contribution margin estimates, and develop cost estimating relationships in order to accomplish an effective price analysis pursuant to FAR Subpart 15.4. Student performance will be assessed by graded exams on math fundamentals and applied course material as well as an exercise for student participation and completion of negotiations. CON 170 – Fundamentals of Cost & Price Analysis is Defense Acquisition University-equivalent training that satisfies the FAC-C and DAWIA certification programs. Students successfully completing the course earn 7.35 continuing education units. The Land and Maritime unit of the Defense Logistics Agency (DLA) will conduct a “Certified Cost and Pricing” webinar on April 30, 2014 starting at 2:00 p.m. Eastern Standard Time. Land and Maritime has experienced an increased concern with all businesses in providing Certified Cost and Pricing data. This webinar was developed to address this issue as well as to assist both small or large businesses on how to submit complete pricing data that will be acceptable. 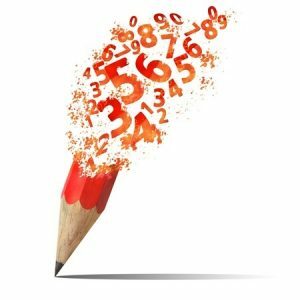 It is important to provide good data the first time to help streamline the evaluation process. To register for the “Certified Cost and Pricing” Webinar, please send an email to DSCC.BCC@dla.mil with the following information: Name, your business CAGE code, and email address. In response, the webinar direct link address and bridge line call in information will be provided upon registration. Government agencies at the federal and state level are lured to cloud computing by the promise of cost savings and expanded services. But there are also risks associated with moving operations and applications to the cloud. A recent report by researchers at the University of North Carolina at Chapel Hill looks at contracting issues that government agencies face with adopting cloud services. The report was written for the IBM Center for the Business of Government. 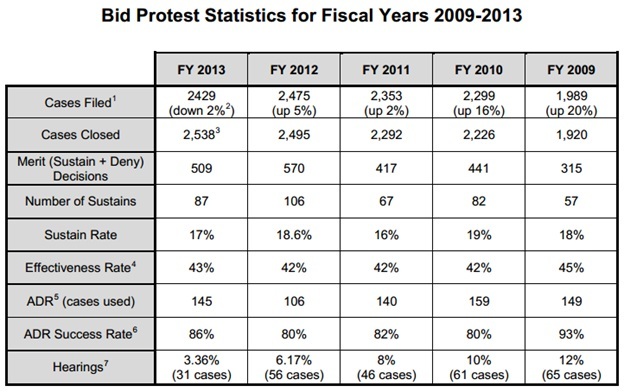 The Government Accountability Office (GAO) recently released its annual report to Congress on bid protests filed and acted upon during fiscal year 2013 (FY13). The report reveals that during FY13, the GAO received 2,429 cases, including 2,298 protests, 56 cost claims, and 75 requests for reconsideration. A total of 2,538 cases were closed during the fiscal year. Notably, the most prevalent reasons for sustaining protests were: 1) failure on the part of federal agencies to follow their stated bid or proposal evaluation criteria; 2) inadequate documentation of the record by agencies; 3) unequal treatment of offerors; and 4) unreasonable price or cost evaluation. Further details can be seen on the following chart. 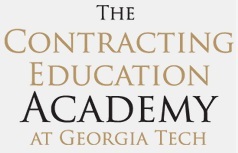 The Contracting Education Academy at Georgia Tech is offering a course focusing on the Fundamentals of Cost & Price Analysis in government contracting on October 14-25, 2013. This comprehensive, two-week course begins with an in-depth review of the market research process, and provides instruction to help students understand and analyze contractor pricing strategies. After learning the basic elements of price and cost analysis, students will build and defend a pre-negotiation objective, including a minimum and maximum pricing objective with a weighted guidelines assessment. After successfully defending their pricing objectives, the students will practice face-to-face negotiations. This course is targeted toward new hires to the contracting career field. 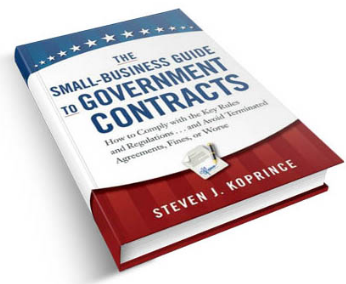 For government contractors, this course also provides invaluable insights into the government contracting decision-making process. CON 170 – Fundamentals of Cost & Price Analysis is Defense Acquisition University-equivalent training that satisfies the FAC-C and DAWIA certification programs. In addition, 7.35 CEUs are granted for successful course completion.